As you look at the year ahead, how do you know which marketing efforts will yield the highest returns? And how do you know the best sequence in which to apply various tactics? The choices can be overwhelming, and mistakes can be expensive. 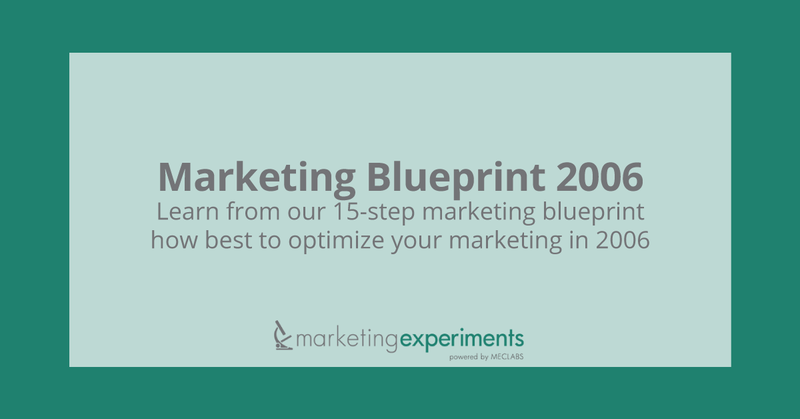 To help you in this task, we have put together a revised Marketing Blueprint for 2006. How can it help? It can help you cut through the clutter and avoid wasting time and resources on tactics unlikely to give you a worthwhile ROI. In other words, it can keep you focused on what works best. This blueprint is drawn from our own experiments with our research partners. These are the steps we follow ourselves. And as you’ll see from some of the test data we share to illustrate the various steps, the results of following this plan can be dramatic. Not every single step described applies to every single business online. Consider each point we talk about, and eliminate only those which do not apply to your business. If you want to share and apply the data and learning from a particular report, take advantage of the option to print it out as a PDF document. Follow the example of some of our partners and others who have bound the reports and work through them line by line with their colleagues. Keep in mind that some of the research reports we refer to are based on testing we conducted two or three years ago. While the principles and learning opportunities remain valuable, some of the companies and sites we covered in our research may have been acquired, changed name or gone out of business. In the next brief we will be looking at case histories of companies which have followed our blueprint, and we will also have the opportunity to answer your questions. We have provided abstracts and links to each report below. Many of the online reports also include archived audio recordings from our interactive web clinics. Additionally, some topics also include spreadsheet tools that will help you make strategic calculations about your marketing. A competitive analysis is a formal evaluation in which you review the businesses of one or more companies that compete, directly or indirectly, with your own. Online, competitors have access to each other’s company information and marketing materials that they might not be able to gather as easily in the offline world. This allows for even greater opportunities to benefit from competitive analysis data. But how can companies improve by analyzing their competitors? And what is the best way to implement a thorough competitive analysis? Are you using the best names for your products and services? Is your domain name the ideal name for your business? Our testing has shown that intuition does not always produce the best names, and that there is no substitute for well-crafted name tests. How does seasonality impact your marketing? What market fluctuations should you be prepared for in 2006? In addition to providing an easy-to-follow guide that will enable you to plan well in advance for upcoming merchandising seasons, we have provided access to a wealth of research and tips that will further enhance your marketing efforts. Before you drive traffic to your site, you need to make sure that it is optimized for the highest possible yield. You have just a few seconds to capture your visitors’ attention, focus their eye path, and drive them to a revenue-yielding click. Page weight is a measurement of the file size (usually in kilobytes) of a web page that includes the combined size of all the elements of the page, including HTML files, images, audio or video, Flash animation, etc. Optimizing your page weight can have a significant impact on your site’s conversion ratio. What are landing pages and why are they important? Is it possible that these pages may be even more important that your home page? Are you spending too much time optimizing the wrong pages on your site? How did our test site improve its total site conversion and increase revenue by 31.5% just by optimizing its primary landing page? What good is it to optimize your site for maximum yield if 40% of your visitors experience browser display issues? This is the single most overlooked problem with site design. For some reason, marketers don’t know how or don’t want to be bothered with cross-platform testing -— but it is essential. In addition to site design optimization, you should pay close attention to your site copy. 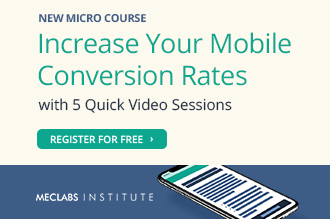 What impact can the length of your sales copy have upon your website’s conversion ratio? What are the advantages of long copy and short copy? What are the ten key guidelines to keep in mind when evaluating your site copy? Our article “Transparent Marketing: How to Earn the Trust of a Skeptical Consumer” will also provide a number of guidelines for writing high-quality copy for the Information Age. The Internet was supposed to provide a wealth of useful data, but for many, it is a quagmire of disconnected, inaccurate numbers. Is there a way to cut through the web metrics confusion? Here are some of our discoveries, including our recent testing of A/B and multivariate testing platforms. Although some marketing efforts may be home-runs, don’t expect spectacular results with each new effort. Einstein remarked that compound interest is the most powerful force in the universe. This compounding force can apply to small, incremental gains in your marketing as well. More than 30% of all orders are abandoned in the shopping cart. Billions of dollars per year are lost due to poor cart design, unstable credit card processing, or weak follow-up. Improve your order process and you can double your revenue without spending one dollar more for advertising. What is a Configurator and how does it work? What are the benefits of using one and how can it contribute to increased conversion on your retail site? On what kinds of sites is a Configurator useful and what is the best way to set one up? For subscription- and service-based sites, we looked specifically at optimizing the subscription path for potential customers. In just the first month of testing, our test site was able to increase its monthly revenue by 14.74% by improving its subscription path. Before spending thousands of dollars with the pay-per-click engines, make sure that you are capturing the email addresses of as many visitors as possible. Why pay again to reach the same shopper? A smart email capture program can significantly improve your pay-per-click return by eliminating the need to pay to reach the same individuals more than once. 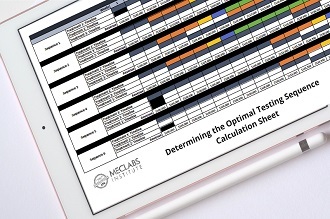 When determining your ideal offer price, there is no substitute for effective testing. Often, you won’t know your ideal price until you’ve gone too high. On the other hand, free trials sometimes produce greater returns by allowing your customers to try your services risk-free. What if you could leverage a few simple tests to optimize the price of your online offer? How do you know if your price point is high enough to achieve maximum margins, but low enough to achieve maximum revenue? We tested three price points to maximize profit for our test site. For subscription-based sites, we also looked specifically at content sales and subscription revenue. What is the ideal pricing structure for your online content? The comparison search engines typically achieve a much higher conversion ratio than traditional pay-per-click because the shopper reviews price, availability, and shipping information before clicking through to your site. We tested 40,000 products to measure the conversion ratio for 17 different engines. You can use this data to select the most appropriate channels for your products. We achieved a conversion rate of 13.3 percent on this information-rich shopping search engine AND we did not have to enter thousands of keywords. DealTime may be one of the quickest ways to begin capturing qualified traffic. What are the typical requirements of a comparison search engine data feed? How do you update and maintain a data feed once it is created? And how can you optimize and effectively use data feeds to drive the most qualified traffic? Pay-per-click (PPC) remains one of the most effective means of attracting a large volume of qualified traffic. Our recent research outlines a 90-day plan for launching a new PPC campaign. What are the risks of click fraud? Our research indicates that as much as 30% of paid search traffic may be fraudulent. This report will help you remain vigilant against potential losses. PPC optimization begins at the level of the ads themselves. This article outlines techniques for optimizing your ad headlines, body copy, and more. Our testing improved click-through rate by as much as 121%. Our experience suggests that the best way to begin your primary search engine work is to create an effective Google AdWords campaign. We generally use the data from this campaign to prepare all of our other search engine plans. 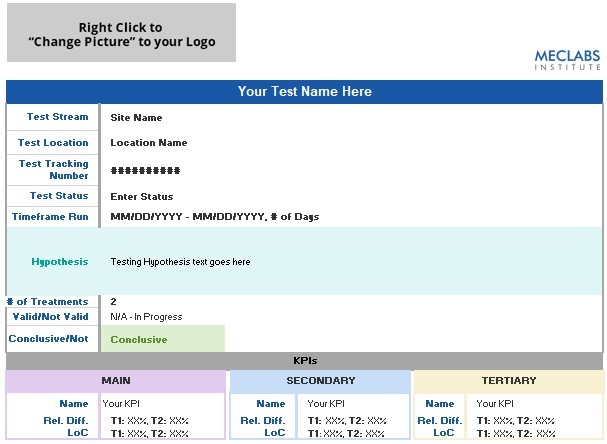 It can be the least expensive and most data-rich testing platform. Read how we achieved at 1200% ROI and get our step-by-step blueprint for success. Overture can drive significant traffic to your site. The key is to control your bid pricing. Read how we reduced our average costs from $1.52 to $0.25 per click. Get our step-by-step blueprint for an effective Overture campaign. We’ve also tested a number of other PPC engines and techniques that may help enhance your PPC marketing. With the predominance of PPC engines, how important are natural search engines? How much traffic can you expect from those sites? What techniques can you implement that will help improve your site ranking in ALL natural search engines? Researchers at MEC studied the Google PageRank system for six months before publishing any results. Our objective was practical, if a bit daunting: to cut through a number of complicated algorithms and articulate a simple way to increase your Google traffic. What are the advantages and disadvantages of using dynamic web pages? Can you increase the likelihood that dynamic web pages will be indexed by search engines? What are most effective techniques you should keep in mind when optimizing dynamic web pages? Why are incoming links important for your website? What is the most effective technique to generate incoming links, and how can you measure the number of incoming links to your site? What are 20 additional strategies to generate incoming links? Customer ratings are a customer feedback mechanism used on many online shopping sites, such as Shopping.com (DealTime), BizRate, Yahoo! Shopping, Amazon.com, and eBay. How can customer ratings impact your conversion rate? Why should you view customer service as a marketing expense? What are the best ways to increase your customer ratings? What if you could launch a two-part campaign that focused on (1) winning website awards and leveraging those awards to (2) improve your conversion ratio? Jean Baudrillard is quoted as saying: “Governing today means giving acceptable signs of credibility.” He might as well have been talking about web marketing. In our hype-laden world, credibility is key. MEC Researchers analyzed six hundred award websites and tested fifty to determine how to use awards to improve your marketing. How has SPAM impacted the effectiveness of email marketing? How does the CAN-SPAM legislation affect your email strategy? 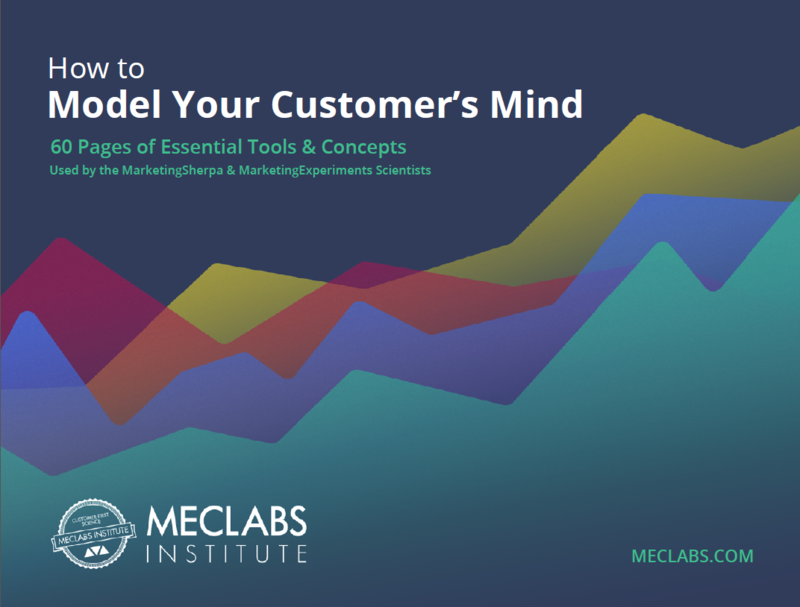 What if you could leverage the online marketing resources you’re already using to create a perception of value in the eyes of your customers? Is there a more effective way to design your email messaging? Researchers are MEC have been testing a new approach. Here is what we discovered. How effective is ezine (email newsletter) advertising? How can you gauge the effectiveness of your ezine advertising campaigns? How can you get the most out of your ezine advertising dollars? Does eBay, the undisputed leader in online auctions, represent a viable marketing channel for your retail business? Or is it prohibitively expensive for many products? How can you determine if eBay is right for you? Are Amazon OLS Stores a viable marketing tool? What is the difference between the (old) Amazon zShops and the (new) Amazon OLS Stores? What costs are involved with running a store on Amazon.com? How difficult is it to set one up? This research brief will answer those questions and will offer seven key points to setting up a successful store on Amazon.com. At MEC, we have been testing Yahoo! Stores for the past several years. In a previous report, we identified Yahoo! Shopping as one of our lab’s “Top Performers”. Recent changes at Yahoo! have given us reason to pause and re-examine Yahoo! Stores as a marketing channel. Is Yahoo! still as effective as it once was? Do you view inbound customer service calls as an unfortunate expense, and take steps to minimize them? If so, you may be surprised to hear that our testing shows these calls can actually generate a PROFIT. We tested the impact of press releases on website traffic and inbound links, and found that effective PR can deliver an ROI superior to PPC advertising. In our testing, how is it that one affiliate program achieved a success ratio of 80%, with sales per affiliate ranging between $100,000 and $1 million per year, while another affiliate program projected (a very promising) $3.6 million per month, and yet has failed to generate even 10 percent of that number? What made the critical difference? Can the average company still grow through affiliate/partnership marketing?